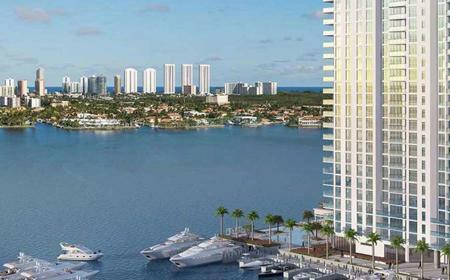 Marina Palms Yacht Club & Residences brings the yachting lifestyle back to Miami with the first luxury condominium and yacht club project in two decades. Situated on over 750 feet of picturesque waterfront, Marina Palms offers stunning views over the marina, the Intracoastal Waterway, and beyond to the Atlantic Ocean. Throughout the lushly landscaped, 14-acre waterfront enclave, its state-of-the-art marina, and in each of its spacious, well-appointed residences, Marina Palms offers an extravagant array of luxuries, services and amenities designed to help residents make the most of the time they spend aboard, and ashore. Whether lounging in your residence overlooking the Intracoastal, heading out for a voyage on your own yacht, or embarking on a boating or water sports adventure through the Boat Club, you’re certain to find countless ways to make the most of life on the water at Marina Palms. With 750 linear feet of prime waterfront in one of South Florida’s most vibrant neighborhoods and an on-site, full-service marina, Marina Palms offers all of its residents a unique lifestyle with unparalleled waterfront experiences. Additional amenities are available to residents through optional membership in the Marina Palms Boat Club. Generous in scale, with premium finishes, Marina Palms residences offer an interior elegance appropriate to their inspiring views. Superior quality speaks to all the senses through exceptional features like solid-core doors; sound-insulated walls; smart technology; imported Italian kitchen cabinetry by Snaidero with stone countertops; Grohe bathroom fixtures; Sub-Zero and Wolf appliances; elegant, floating Italian bathroom vanities by Snaidero; frameless, glass-enclosed showers with handheld head in bathrooms; deep private terraces with glass railings; expansive marina and panoramic water views of the Intracoastal and beyond; freestanding soaking tub in master bathroom; large, walk-in closets. Developers are joint venture entities affiliated with The Plaza Group and The DevStar Group. 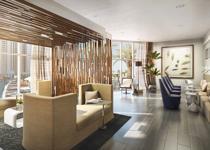 Founded by Neil Fairman, The Plaza Group has successfully developed the 240-unit, 42-story Ocean Palms condominium on Hollywood Beach, and The Palms, a luxury condominium with 196 units in two, 32-story towers, located on Fort Lauderdale Beach. 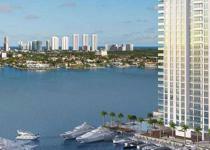 The DevStar Group is a development and investment firm headquartered in Miami. Principals Anthony Burns and George Helmstetter have spearheaded the redevelopment and sales efforts of the 47-story Paramount Bay and Ocean House South Beach. For Marina Palms, DevStar is partnering with iStar, a publicly traded, $7 billion finance and investment company.